The juniper bonsai is a seemingly tolerant tree that adapts comfortably to most environments. However, this tolerance can be easily misrepresented. 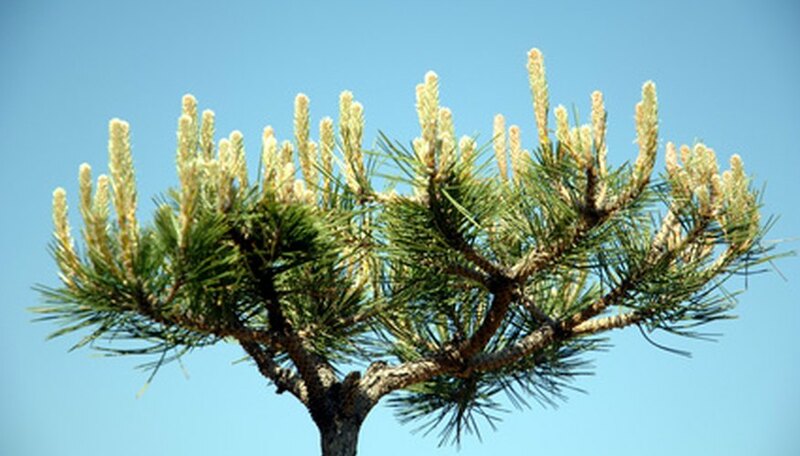 This conifer can display rich-colored, healthy looking needles while simultaneously suffering from its poor environment. Once you realize that your juniper is dying, take immediate action to successfully save your tree. Repot your dying juniper to provide a fresh, clean environment. Remove your juniper gently from its container and place it on a clean, flat surface. Remove the excess soil from the root system and inspect the system thoroughly. Look for dead, dying and wilted roots, root rot, and mushy, water-soaked roots. If the entire root system is diseased or rotted, discard your juniper. It will not recuperate from its condition. If only some of the system has deteriorated, take steps to save your bonsai. Use sharp, sterile scissors to complete the pruning of the root system. Remove any dead, dying or wilted roots from the system. Prune away approximately one-third of the root system but no more, unless absolutely necessary. Cut away any rotted roots completely from the root ball. Select a clean, well-drained potting container for your juniper. Avoid using the same container, as it may contaminate the root system. Select a container with a depth that is equivalent to the trunk’s diameter, as recommended by Bonsai4me. This will help to ensure that the container is not too large or small for your juniper. Line the bottom third of the potting container with a layer of pure sphagnum moss. Center your juniper in the container and fill the container with the pure moss. Press the moss firmly around your bonsai to secure its position. Use pure moss for ill juniper, as recommended by Bonsai4me, to promote vigorous root re-growth and improve your tree’s resistance to bacteria. Allow your juniper to remain in the pure moss for at least one year. Prune your ailing juniper to redirect its energy to viable areas. Use sharp, sterile pruning shears for this process. Remove any dead, dying or wilted branches from the bonsai. Use sterile tweezers to pinch away any ailing and unwanted needles. Remove some of the interior needles to improve the air circulation throughout the juniper bonsai. Irrigate your juniper deeply and infrequently. Irrigate the juniper with tepid water until the water flows evenly from the drainage system. Allow the juniper to dry between each irrigation but never allow it to dry out completely. Check the soil’s moisture levels before watering to reduce the potential for overwatering. Mist your juniper bonsai daily, especially in the summer, to maintain ideal humidity levels. Place your newly repotted and pruned bonsai in a warm, sunny location. Ensure that the location is well-ventilated and receives at least eight hours of full sunlight each day with a minimum of four hours of direct sun. Choose a location with good humidity levels. Avoid locations with dry air. Ideally, select an outdoor location rather than an indoor location, as it provides a healthier environment for the juniper. Never fertilize an ailing juniper.